Alright Ladies, let’s get our party pants on! Its time celebrate my most favourite of FAVOURITE discoveries! I’m sure you are all familiar with the efforts of self tan, but have you learnt how to master such fabulousness? Never mind that, have you managed to find the correct product?? You know, the type that doesn’t leave you looking like a streaky Oompah Loompah? Orange Oompah Loompah to be exact! Let us clear the air before we get started. First things first: Are there REALLY any valid reasons as to why one would not want to sport a beautifully bronzed bod, ALL year round? Yip, that’s right . I’m on the same page as you – absolutely no valid reasons what so ever!! Well, I’m glad that’s settled. I guess we can get started then, shall we? 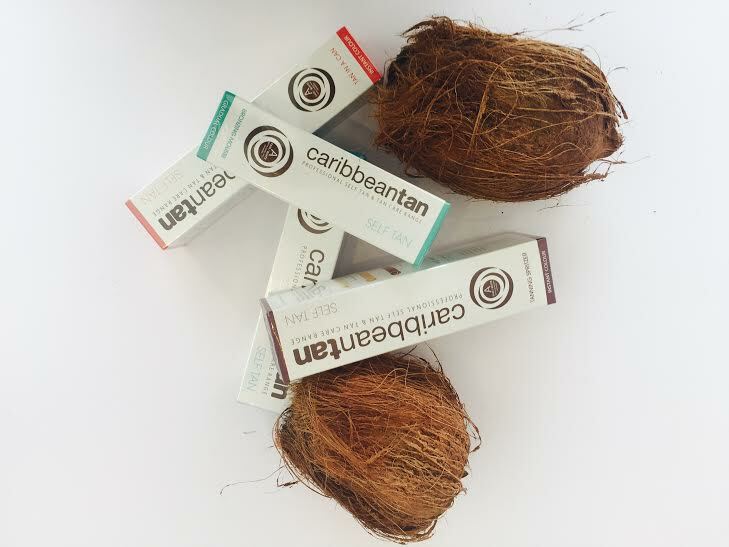 Can you guess which self tan product is my absolute favourite? One that is totally local, but tropical at the same? Think coconuts, palm trees, soft sand and an ocean breeze. 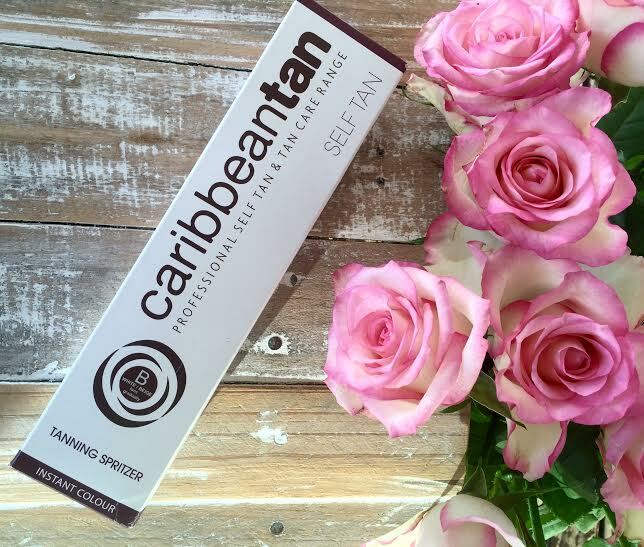 Yip, you’ve guessed it: CARIBBEAN TAN!! I absolutely love this product! It’s safe to say that I have been a religious user of this professional self tanning agent through all seasons, moods, boyfriends and life decisions. And might I just add emphasis on the word PROFESSIONAL!! We all know that feeling, when you’re not quite satisfied with looking like a carrot, when a self tanning adventure goes a little South, but luckily for you ( and I), and ALL the Oompah Loompah’s of the land, that situation will not be revisited when using this self tanning range. A self-tanning product that doesn’t make you orange? Why YES young Lass, you’ve read correctly!!! Basically, this range works on an A, B and C level. All you need to do when frolicking about down that self-tanning isle is to simply match your natural skin tone colour (preferably the inner arm) to either of the letters on the box. This will then guide you in selecting the most suitable colour to use! Good heavens, what a useful little box! 1, 2 ,3 , its as easy as A, B, C!!!! 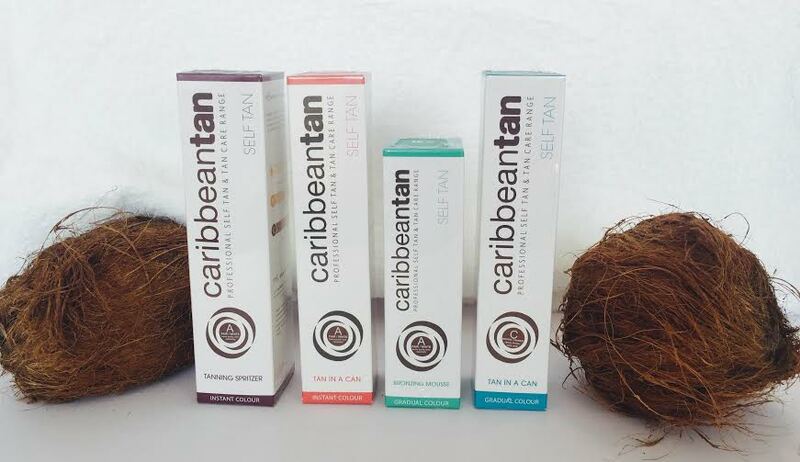 With Caribbean Tan, there are also so many choices and options which is of course, FABULOUS news for all those little Indecisive Ingrid’s out there! 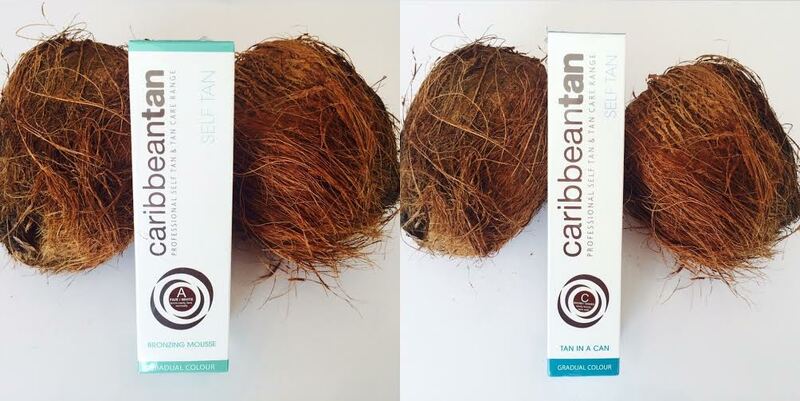 Basically, Caribbean Tan can be found in either an “Instant” or “Gradual” range. The Instant selection looking rather dashing! Both Instant and gradual formulas can be found in an aerosol can or one could simply give the gradual bronzing mouse a try, as well as the Instant Tanning Spritzer, all which develop within 8 hours. Like I said, the choice is YOURS! Oh, just look at the Gradual selection posing for pictures!! To avoid all possible tan-trums, one should ALWAYS exfoliate before self tanning, I mean, it’s just basic etiquette in the land of self tan. Come on now; let us not insult the bronzing Gods! AFTER exfoliation, one is ready to spray, spritz or mousse it up! Another great thing AND guarantee is that you’ll be totally smitten with the mitten while applying that self tan. I mean who doesn’t like a helping hand? After applying the desired amount of product, you’ll find yourself doing the penguin walk until all bodily limbs have dried (Approximately 8-10 minutes). Yes, self-tan is all fun and games, but totally worth it! I picked up my very own self tanning whiz at Clicks for R99.00, so be sure to get yours too. Oh look!!! It’s my Caribbean Tan and I!!! Well, there you have it! A reason to put your party pants on and take a moment to appreciate the TAN IN A CAN, because whoever is in charge of the bronzed gods has CLEARLY got it going on! And let’s be honest, our skin will thank us for faking, rather than baking! Stay tuned to find out my secrets about prolonging my all year round Summers glow. P.S click on the link below to enter the Caribbean Tan Model search for 2016. Entries close at the end of May 2016. Have you found yourself wondering around the land of Spotsville recently, where fresh faced plots are out of reach, where blemishes bloom as bright as daylight and erupting facial mountains are an actual thing? Nevermind that, but Aunt Acne and Bert the Blemish seem to be making an appearance on the regular too, just to let you know that they’re thinking about you. Nothing quite like those uninvited guests! And not to tread on a sore spot or anything, but it sounds as though you might be needing some help with navigating your way out of this zituation. Well, it’s a good thing I’m happy to provide directions!!! 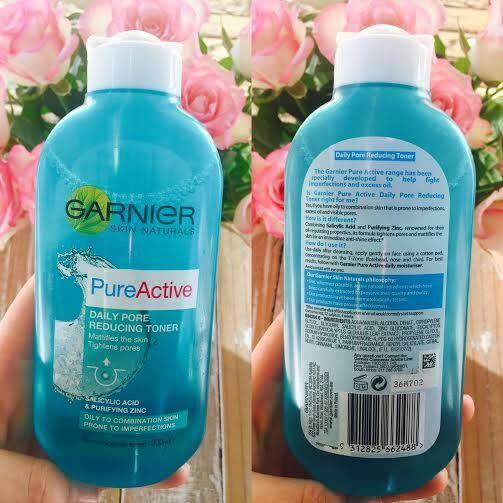 First things first, let us take a turn into the land of Garnier and say hello to my little friend who goes by the name of PureActive. 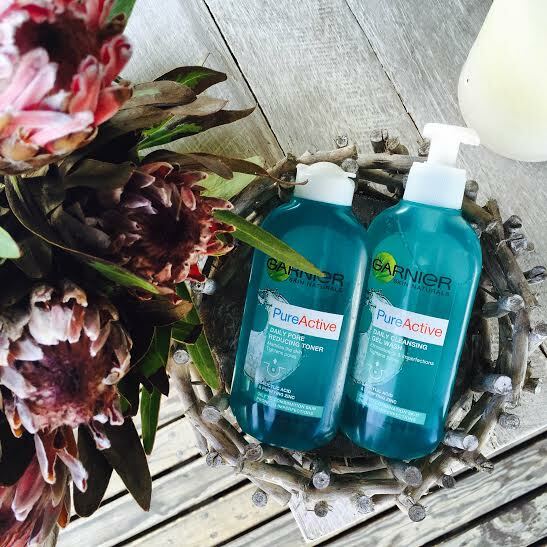 Pure Active is actually a skincare range and is an absolute gem in disguise. A minty fresh gem to be exact! After all, this is exactly the type of scent you’re left with after using these products. 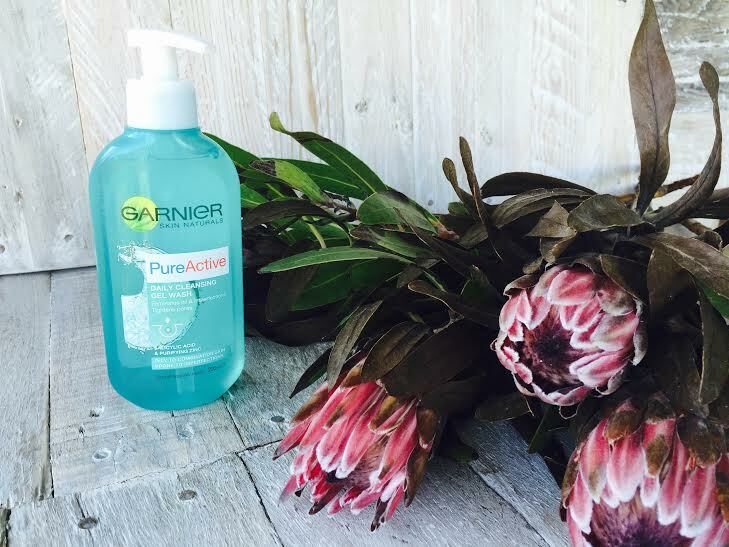 This Garnier Pure Active range has really proven itself. Firstly, how fresh faced is this packaging? It is definitely a bottle that I am happy to have frolicking about in my bathroom and on display! This range specialises in helping oily to combination skin which is prone to imperfections (You know, those uninvited guests). 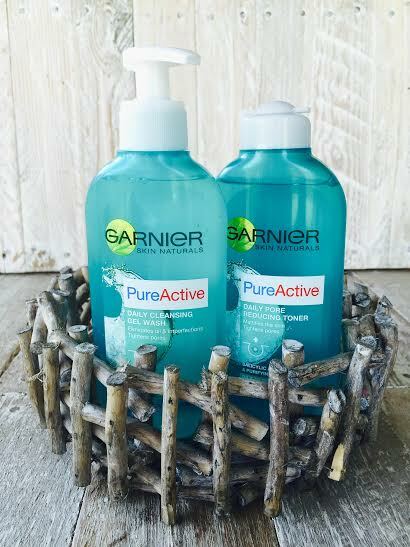 At the moment, I start and end my day by using the Pure Active Daily Cleansing Gel Wash and Daily Pore Reducing Toner. They’re my new best friends. Can you tell? The Cleansing gel wash is an absolute pleasure to wake up to with its minty fresh scent. You really can feel it digging deep into those pores and is also fantastically simple to use. Correct me if I’m wrong, but all one needs to do is simply splash some water onto the face, pump a dollop of gel wash into those hands and simply begin massaging gently in a circular motion until you feel your face has had an efficient bath. And yes, I know this is exciting, but don’t forget to close your eyes! Want to know my favourite part? The fresh tingles that you are left with after using this gel wash. It is simply UHHHHMAAZZZING!!! One thing I must add is that when cleansing, it always helps to wet your face with warm water to open up those pores, and rinse with cold water to close them again so that no dirt and grime sneaks their way in. Next, we have the toner. Well, not just any toner, but PORE REDUCING toner. Fancy that! This is also once again super easy to use after cleansing. All you have to do is apply with a cotton pad and concentrate on that T-zone area (forehead, nose and chin). Why the T-zone you may ask? Well, this is naturally the oiliest part of the face. And yes, I know, that’s practically your entire face, but hey, at least Garnier is making it easier to deal with such situations by combining Salicylic Acid and Purifying Zinc to the equation. What’s that? Thought you’d never ask! Basically, Salicylic Acid is known for its anti bacterial properties and Purifying Zinc for regulating oil. With that being said, you can expect to have a non-existent oily build up, but remember to use a superbly good moisturiser. Be sure to find any of these products at Dischem stores for R64.95 each! Sounds like a bargain to me! Well my friends, it seems as though the grass really is greener on the other side. A minty fresh kind of green!After all we wouldn’t want Aunt Acne and Bert the Blemish to over stay their welcome, now would we?